Flash drying is characterized mainly by the short duration of drying time. This quality makes flash drying ideal for the drying of products that are sensitive to heat. A flash dryer takes a collection of materials and suspends it in a chamber, where it is exposed to high heat for a short time and then sent to a collection chamber once dried completely. The process takes only a few seconds. Flash dryers are used in the food processing industries to separate moisture from granulated food products that would be too sensitive for processes like spray drying or rotary drying. In mineral processing operations, flash dryers are used to dry and heat minerals that may be sensitive to heat exposure; flash dryers are ideal for the processing of these materials because they expose materials to heat for no more than a few seconds. Caked materials, flakes, pastels, slurries, gels and other materials of similar consistencies can all be treated easily and effectively by flash dryers. Some of the largest dryer designs are flash dryers. Some models are capable of water evaporation in excess of 20 tons per hour. Depending on a given flash dryer’s configuration, a flash dryer can generate drying enclosure temperatures anywhere between 200° and 1400°F. A flash dryer’s most important component is its drying chamber; it is in this chamber where product is separated from moisture and evacuated into a collection area. Drying chambers usually feature inlets for product and air as well as outlets for air and dried product. The air inlet supplies a controllable stream of air that suspends the product in the drying chamber, exposing it fully to the heat before it is evacuated from the chamber. This method allows for even drying and produces an evenly shaped and evenly distributed dried product. Many flash dryers can be made to recycle used air, which increases drying and heat generation efficiency and reduces energy costs. Different flash dryers are equipped to handle different materials. For example, a heated air flash drying system would not be suitable for the drying of combustible materials, as air and heat are two ingredients in combustion reactions. In those cases, inert gasses like nitrogen would be used in the place of air. Similar considerations make careful flash dryer selection important to successful drying operations. 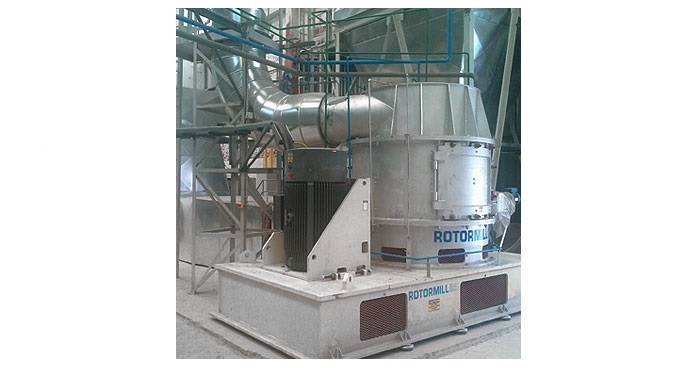 Flash Dryer Flash dryers are industrial dryers that are used to dry and resize caked or paste-like solid materials; they combine mechanical agitation, hot gasses and forced air to separate moisture from solid materials.